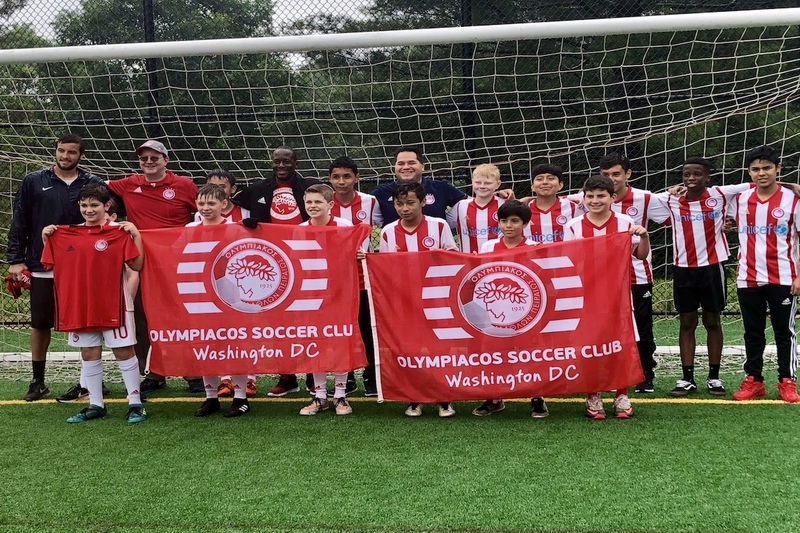 Olympiacos, one of Greece’s most successful professional soccer teams, has officially launched a new soccer academy for training and skills development in Washington DC. The newest school gives the team its third location in the United States following Chicago and Huntington Beach, California. Club President Harry Karageorge said in an official statement that the new academy will focus on providing local youth with key opportunities to develop both as players and as individuals. Karageorge explained that there was a lack of developmental soccer clubs in the DC area during his own youth soccer days — a prime reason that motivated him to create opportunities for today’s younger players. 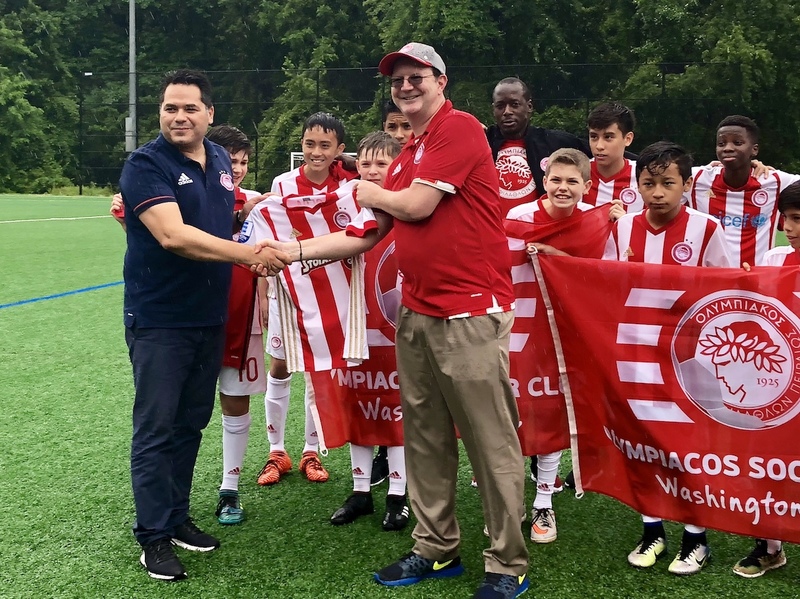 Head of Olympiacos Soccer School Network Vasilis Νanos congratulates the club’s Washington DC President Harry Karageorge on launching the most recent addition to the network. Olympiacos is based out of Piraeus, Greece and has won the most championships (38) in the history of the country’s soccer league. The team has also had success in European competitions, reaching the quarter-finals twice — in the 1998–99 UEFA Champions League and in the 1992–93 European Cup Winners’ Cup. In addition to its U.S. academies, the club has others located worldwide, including in Greece, Cyprus and Australia. For more information about the Washington DC club, see the academy website.